Throughout Burberry's 150 year history, it has become one of the most famous and recognizable names in fashion, not to mention eyewear. Burberry is dedicated to providing the highest quality products and materials so that its eyeglass frames maintain the legacy of fashion, elegance, and style for which Burberry is known. Classic styling and traditional designs are meshed with modern accents and youthful influences to make Burberry a company that never sacrifices style to maintain its high standards. Due to manufacturer's restrictions, Burberry products cannot be shipped to Australia. Burberry BE2278F is a Full Rim frame for Women, which is made of Acetate. 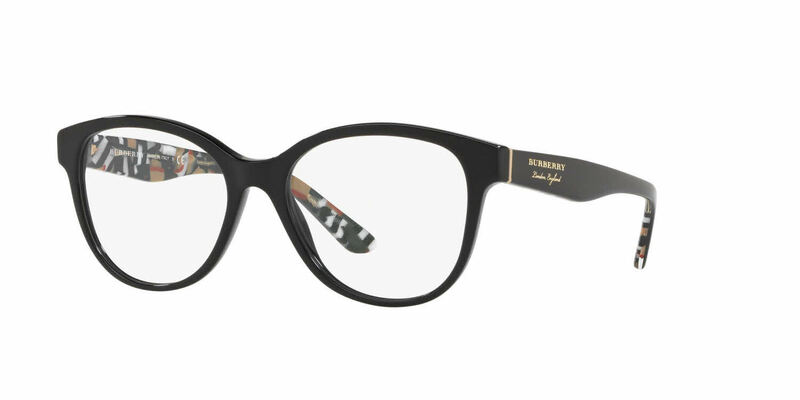 The Burberry BE2278F Eyeglasses feature the following logo: Burberry on temple. Burberry BE2278F Eyeglasses come with a cleaning cloth and protective carrying case.